I spend a lot of time reading fundraising blogs. I love to learn new fundraising strategies, research best practices, and figure out new tactics to ensure that the non-profits I am working with are able to raise as much money as possible and help as many people as they can. Your non-profit does great work. You need to raise money in order to do that work. You deserve the absolute best fundraising information to help you carry out your mission. 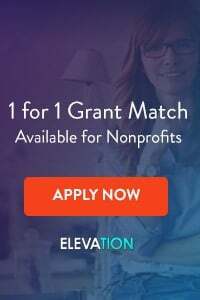 JohnHaydon.com – Tons of information about online fundraising for non-profits, with a special emphasis on how to raise money through social media. Be sure to check out John’s (free) Hump Day Coffee Break each week. 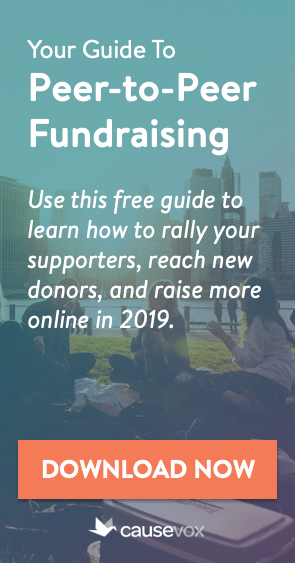 Fired Up Fundraising – Gail Perry shows you how to raise more money for your organization, with a special emphasis on building a better board and raising more money from major donors. CauseVox – The CauseVox blog offers best practices and practical fundraising guides on all aspects of non-profit development, with a special emphasis on crowdfunding and online giving. Nonprofit Radio – Tony Martignetti hosts the web’s most popular non-profit fundraising podcast. Features great special guests and lots of information on all aspects of non-profit fundraising. Michael Rosen Says – The author of Donor-Centered Planned Gift Marketing offers commentary on current non-profit legal and regulatory trends, and shows you how to raise more money though planned giving and more. Non-Profit Marketing Blog – This blog from Network for Good teaches charities how to build buzz, handle PR, market their fundraising opportunities and raise the money they need to thrive. About.com: Non-Profit Charitable Organizations – Joanne Fritz runs a great guide to non-profit fundraising on About.com. Her blog provides a great cross-section of fundraising information and advice. AmberCooney.com – Texas girl Amber Cooney offers tips on fundraising, marketing and volunteers for non-profits of all-sizes on her entertaining blog. Online Fundraising Today – DoJiggy’s Online Fundraising Today blog teaches non-profits how to raise more money online, through their website, e-mail, social media, crowdfunding and more. Get Fully Funded -Fundraiser extraordinaire Sandy Rees shows you how to find new donors, build better donor relationships, and build stronger fundraising systems on her popular blog. 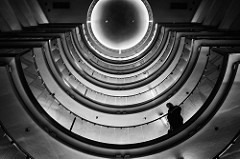 Selfish Giving – Joe Waters is the world’s most trusted authority on how to build mutually beneficial fundraising relationships with businesses. Free bonus: Joe’s wicked Boston accent. 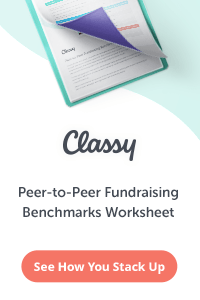 The Classy Fundraising Blog – Classy.org’s fundraising blog covers all aspects of non-profit fundraising and offers great tips from the Classy team as well as non-profit fundraising consultants and authors from around the world. Bloomerang Blog – Join Steven Shattuck, Jay Love, and other fundraising superstars to learn how to raise more money for your non-profit organization. Clairification – Through her blog, newsletter and classes, Claire Axelrod shows non-profits how to better steward their donors, how to build better relationships, and how to develop thanking systems that resonate with donors at all levels. PamelaGrow.com – What would non-profit fundraising be without my friend Pamela Grow? Through her weekly newsletter and popular blog posts, Pam delivers great fundraising information plus unique features like What’s in My Mailbox and her monthly book giveaways. Fundlio Fundraising Blog – The Fundlio blog focuses on fundraising strategy and tactics for small and medium size non-profits, and features tons of guest posts from well-known development professionals. Arroyo Fundraising Blog – Our friend Kathie Kramer Ryan teaches you how to raise more money for your school, church, or other charity organization. Fundraiser Beth – Beth Ann Locke focuses on donor-centered fundraising. Plus, she’s a fierce advocate for the fundraising sector in general and full-time fundraisers in particular. Check out her blog! The Fundraising Coach – If you’ve been to a fundraising conference recently, you’ve probably seen The Fundraising Coach Marc Pitman holding court in his signature bow tie. What you may not have known is that Marc’s Fundraising Coach blog is one of the best sources of fundraising “how to” information out there! GuideStar Blog – The GuideStar Blog from GuideStar.org is a comprehensive resource for non-profit fundraisers covering development best practices, legal and regulatory developments, and more. Wild Woman Fundraising – My friend Mazarine Treyz teaches you how to be a better fundraiser, including how to land a better fundraising job (or ask for a raise! ), how to raise more money on social media, how to find new major donors, etc. The Chronicle of Philanthropy – The Chronicle is the newspaper of record in non-profit philanthropy. Check it out for the latest news about major gifts, non-profit law and regulation, and its robust jobs pages for fundraisers seeking employment. Agents of Good – Learn the ins and outs of great donor communications from John Lepp and his merry band of do-gooders. Asking Matters – This completely unique site teaches non-profit fundraisers how to raise more money using their unique asking style. I always recommend that new fundraisers and board members take the site’s free Asking Styles Assessment. Non-Profit Pro – The Non-Profit Pro site offers news and how-to information on all aspects of non-profit fundraising, including donor cultivation, events, letters, online fundraising and more. Awesome list Joe. I’m so honored to be on it, and what a great source of nonprofit wisdom and resources. You rock! So much is changing — and so fast! — about how fundraising and nonprofit marketing are done, that we’re fortunate to have such a rich harvest of ongoing learning opportunities. Thanks for shining a light on all that’s being offered. Thanks Joe! I’m so honored to be included among many wise and esteemed colleagues! Thanks for including Network for Good’s Nonprofit Marketing Blog on this list, Joe! Honored to be among all of these great resources. This is a good list, Joe. Thanks for sharing. You’ve introduced me to a few more nonprofit bloggers to connect with. Thank you for including me and my merry band of world changers in your list Agent Joe! it means a whole lot! thank you! Joe, I’m honored to be included on your list and among others I have long admired as well. Thank you!